A Farmers & Chefs food truck dinner at Angry Orchard in Walden. 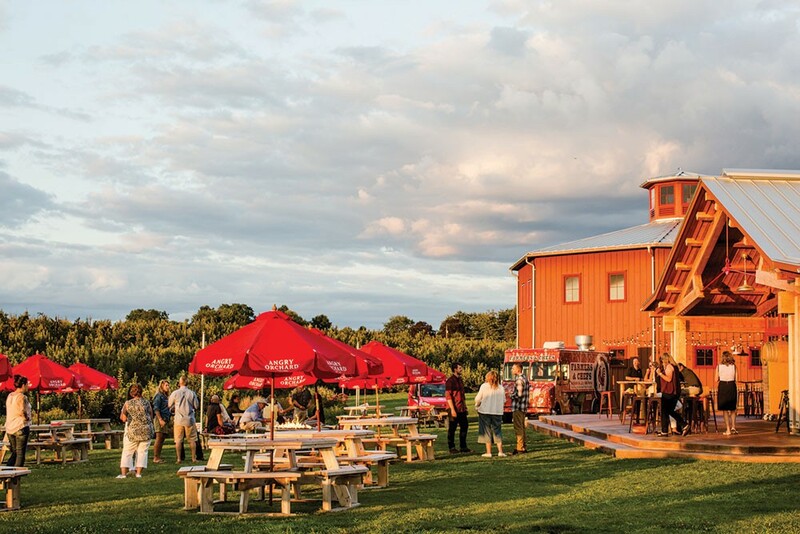 From nationally-recognized cidery Angry Orchard to up-and-coming craft beverage brands, the Hudson Valley's market for breweries and distilleries has never looked better. 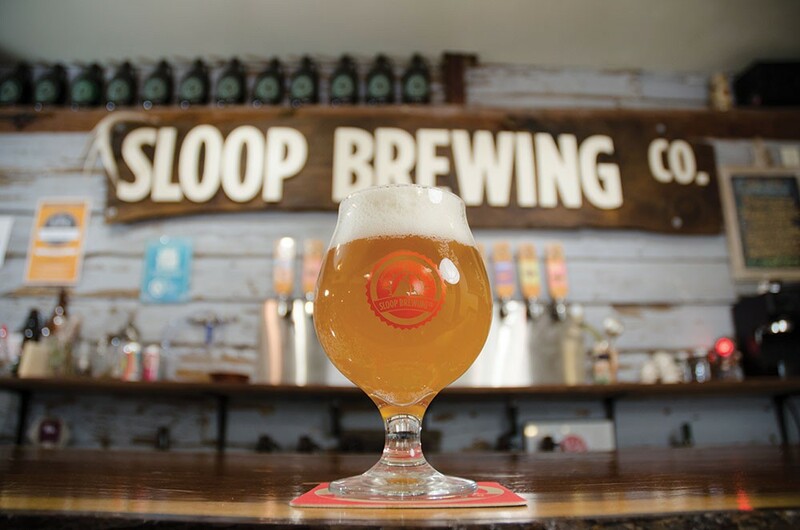 During a serious cold snap in January, when the mercury barely reached 10 degrees, five staff members at Sloop Brewing Co. prepared their Elizaville brewery and taproom for a Thursday release of a new canned IPA called Liquid Sorcery. It took four people about three-and-a-half hours to fill, seam, and label about 2,200 cans before the doors were scheduled to open at noon. But the plans shifted. "It was about 11:15 in the morning and it was four below zero outside," says Joe Turco, sales and marketing manager at Sloop. "Our tasting room manager came in and said I'm opening up early cause there's 30 people lined up outside." Sloop sold out of Liquid Sorcery in a little over an hour. Customers drove down from Boston and up from Philadelphia to the rustic barn in the Columbia County countryside to acquire another of Sloop's juicy hop concoctions. It's one reason the company has outgrown its Elizaville space and will open a 26,000-square-foot brewing complex in Fishkill this summer, making a bold move to be a major player in the Hudson Valley craft beverage scene. Sloop's expansion isn't the only recent development doubling down on the success of the local craft beverage landscape. Young breweries and distilleries keep popping up. The country's largest hard cider producer, Angry Orchard, calls the region home and is pushing hard on the region's Napa-like potential. Wineries are adding whiskey to their portfolios and boasting continued growth. 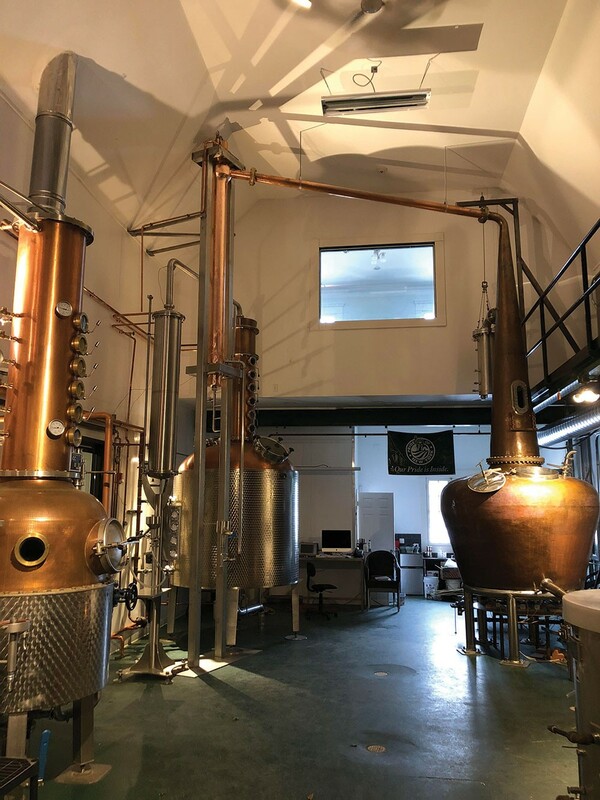 And the distillery that broke down the doors for everyone else, Tuthilltown, was purchased in 2017 by William Grant & Sons, an international company that puts its bottles on shelves in London, Paris, and Athens. The regional, and statewide, growth certainly looks good, but can it continue? 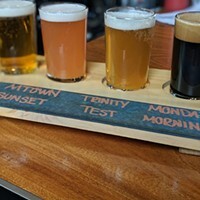 It's clear that shelves are filling up with Hudson Valley beer, wine, cider, and liquor, while the crowds continue to gather at local craft facilities. But if there's a next level, whether it's Napa Valley east or something else entirely, craft experts say there are issues to confront amid an always uncertain future. Juice Bomb, a Northeastern IPA, at Sloop Brewing in Elizaville. Then again, nobody could've figured the present, with 2,000 small-batch distilleries nationwide and 139 of them in New York as of February. The growth of distilleries in particular—713 percent since 2012—underscores just how much change the state and region has seen in craft beverage production. The total number of craft manufacturers statewide is up 112 percent since 2012, with the Hudson Valley proving integral in this surge. 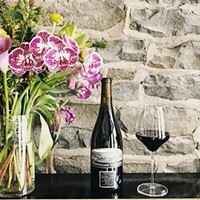 "Historically, the Hudson Valley is home to the oldest winery in America, and has always been a great region for growing grapes and apples," says Stefan Fleming, assistant director of industry development at Empire State Development, a department of state government. "It's a great location for craft production because of its history of growing high-quality crops; access to a reliable water source; access to a large population between Upstate New York, New York City and Boston; and its historic sites and picturesque landscapes." The Hudson Valley's role in the rise of craft starts back in 1976 when Mark Miller, founder of Marlboro's Benmarl Winery, and John Dyson, for a time the state's commissioner of agriculture and markets and, later, the founder of Millbrook Vineyards & Winery, helped push through the Farm Winery Act, which allowed grape growers to start wineries and sell to the public. Nearly 30 years later, Ralph Erenzo wasn't able to sell his Tuthilltown Spirits Distillery products to consumers in a tasting room because the state still lived by antediluvian Prohibition legislation. So Erenzo and a few other small distillers lobbied heavily for the state to allow tasting rooms, leading to the Farm Distillery Act in 2007. The same happened with breweries, which before the Farm Brewery Act of 2012 couldn't sell their product by the glass unless they held a separate tavern license. 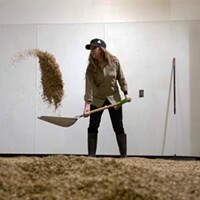 That law allowed brewers to offer tastings and sales of product permitting they were using a threshold percentage of state crop; plus, they could open multiple facilities to sell beer. One year later, New York passed the Microbrewery Act, which eliminated the thresholds but limited operations to one facility. In 2013 the Farm Cidery Law allowed cider producers to open tasting rooms and sell product on and off premises permitting they were using crops grown exclusively in New York. In essence, in just over 10 years, the rest of the craft beverage industry has caught up to wine.